Aibileen and Minny are two African American maids working in Jackson, Mississippi in the year 1962. They go through daily struggle trying to survive in the small, conservative town. They work as maids, a common job for African American women, and they are known as the “help”. These women, usually quiet and obedient, seem to be stirring. Aibileen has difficulty with listening to her employer’s orders. She isn’t as forgiving towards anyone after her son passes away. Minny, one of Aibileen’s close friends, ends up jobless, and her usual fiery temper is on an even shorter fuse. Her former employer, Ms. Walter, is moving to a retirement home. As a result, Ms. Hilly, Ms. Walter’s daughter, asks Minny to work for her. Minny’s smart mouth, however, leads her into a sticky situation with Ms. Hilly, and only adds to her troubles. In the midst of these problems, Ms. Skeeter, a shy, white woman finds herself intertwined with Aibileen and Minny, while also being connected with Ms. Hilly. Wanting to end the social injustice towards African Americans, Skeeter becomes closer to Aibileen and Minny, but her close relationship with Hilly makes it difficult to talk to the maids in secret. Despite her situation, Skeeter is very determined, and risks Aibileen and Minny’s lives as well as her own, trying to protest against the segregation. They secretly collaborate and work on publishing an anonymous book that shows the real side to African American maids. The three women try their best to publish the book without getting caught, but protesting against segregation in Jackson, Mississippi is nearly impossible. 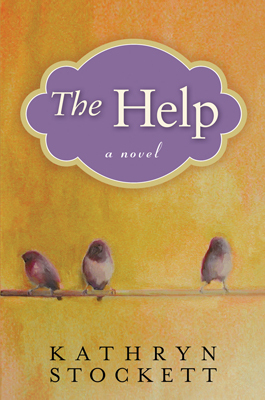 The Help was the most profound book I have ever read, and it was very meaningful to me. The author has a very unique writing style, and keeps the reader interested throughout the whole book. The use of dialogue allows for subtle but very sophisticated characterization. Additionally, the characters themselves are idiosyncratic, all individuals who add to the story. The word choice is very refined, allowing for great use of literary terms. Although this book has many strong elements, a weakness of the book would be its fast pace. Nearly all of the main characters are introduced within the first chapter, making the book difficult to comprehend, and this can discourage the reader from reading. Because of the difficulty level and the serious topics mentioned in the book, the age level that would best enjoy this book would be thirteen and above. If I could go back in time, I would definitely choose this book again because of its deep and important meaning that shed light on many new topics. I would rate this book ten out of ten stars. 1a. Miss Hilly Holbrook, Miss Walter, and Miss Skeeter gather to play bridge. 2a. Minny has no job because Miss Hilly lied to everyone in the neighbourhood, saying that Minny stole her silverware. 3a. Aibileen teaches Mae Mobley that she is a smart, kind girl. 4a. Because she is going on her first blind date. 5a. He is completely fine with having her in the house, to Minny’s surprise. 6a. Ms. Stein wants the book by January, and requires that at least twelve maids be interviewed. Currently, they have only interviewed two maids, so it is doubtful whether they can finish the book in time. 7a. Heather and Will, Hilly’s children, play with Mae Mobley. 8a. Leroy Jr. bags groceries at the Jitney 14, and Sugar babysits. 9a. She angrily insults Ms. Skeeter, saying that all other women hate her, telling her that she is fake. 10a. The subject of how African Americans are treated in Mississippi causes awkward tension because of their different views. 11a. Celia says that Minny is her maid. 13. After the league meeting, where does Skeeter go? 13a. She drives around town aimlessly, shocked and sad that she had lost her job as editor. 14. What does Skeeter find out about her mom after sending in the manuscripts? 14a. She finds out that her mom has cancer. 15. Why does Hilly say she would press charges against Aibileen? 15a. Hilly falsely accuses Aibileen, saying she stole silverware.